Silvi Marina is a town in the province of Teramo, located at the foot of the hills and calanchi (gullies) of Città Sant'Angelo and Atri, just after leaving the Tower of Cerrano. 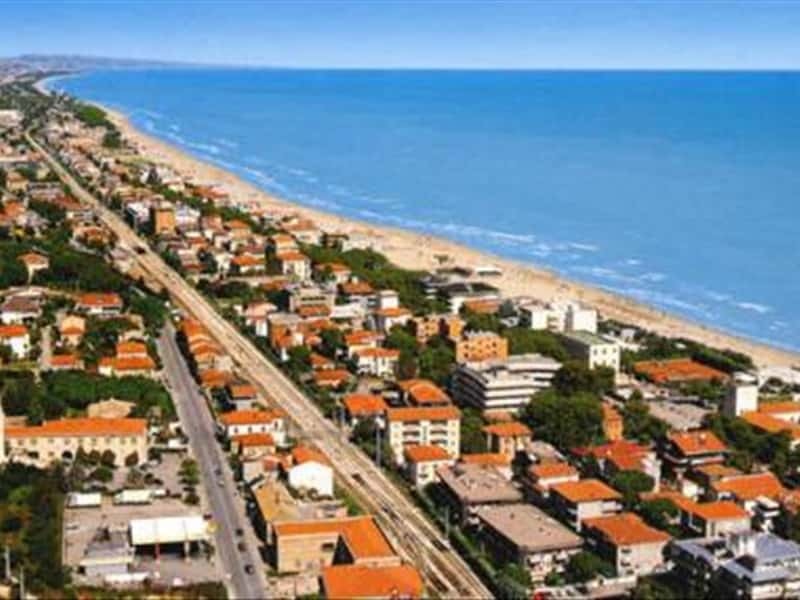 Known and popular seaside resort on the Abruzzo coast, it lies in an area inhabited since the Roman Ages and was linked to historical events and social fate of Atri, from which it acquired the administrative independence only in 1833. The old main centre, Silvi Paese, was under development when, following the continuous Saracen raids, the people chose to move from the coast inland towards the more sheltered hill area. The old centre has largely maintained its original urban layout, with one main road from which develops a dense network of alleys. On the main square overlooks the ancient Church of San Salvatore, dating to the XI century. Worth of mention is a XIV century fresco preserved in its inside. This town web page has been visited 43,706 times.